Click Next to continue the recovery. On this step you will see a message saying: Do you wish to start recovery? To start the recovery, click Yes. The program will start scanning the damaged files and recovering the information. After the scanning is complete, the program shows all the information it could extract. The data is shown as a table and looks like a Microsoft Excel worksheet, but the font in the cells is unformatted. The worksheet contains information from the source file, but the formatting isn't preserved. The user can scroll large workbooks vertically or horizontally and switch between worksheets. Viewing the recovered information helps the user to make sure that the correct worksheet was recovered. 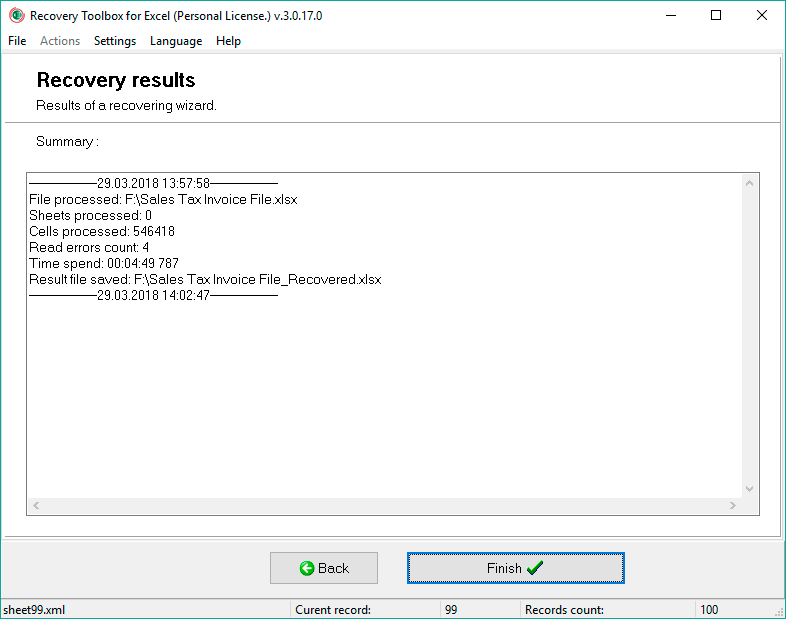 It also shows the capability of Recovery Toolbox for Excel and proves that the program can recover the possible maximum amount of data. 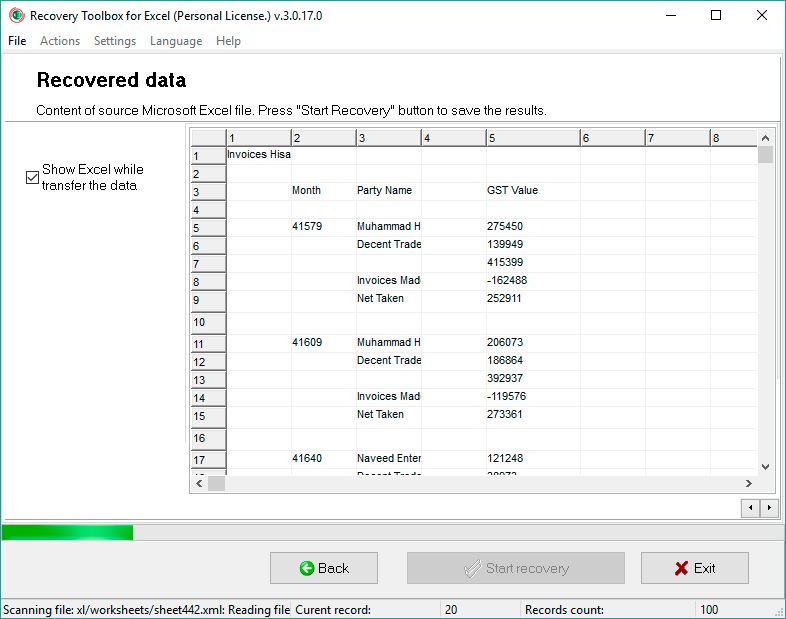 To export the recovered information to Microsoft Excel, click the Start Recovery button. This launches Microsoft Excel and a new file is created where the data will be exported. The worksheet cells will have the same formatting (cell size, fonts, etc.) as the source file had. After the recovered data is exported, the user can work with it or save the information to another file. After the export process is completed, you'll see a report containing information about the results of the recovery process. 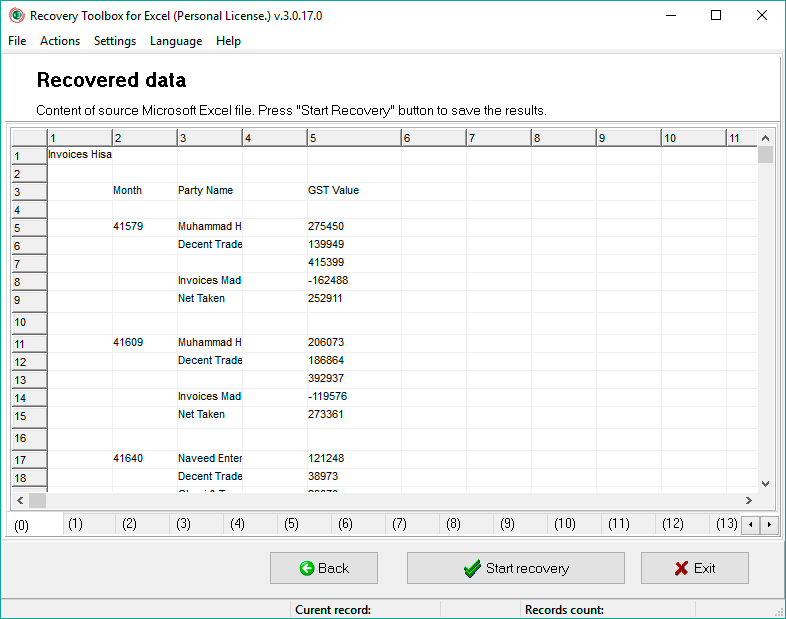 Only a registered version of Recovery Toolbox for Excel can export data to Microsoft Excel. You can register the program by purchasing the registration key on the Buy page. 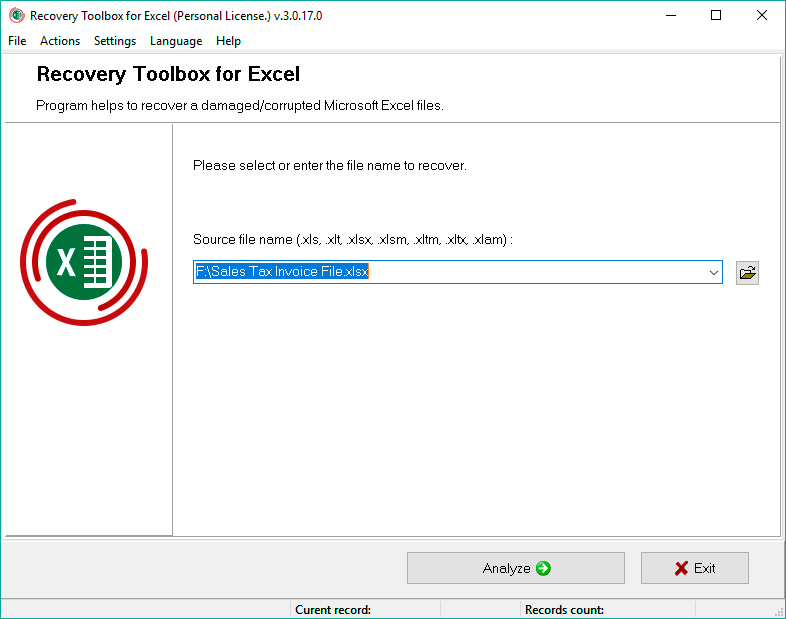 Recovery Toolbox for Excel requires an installed Microsoft Excel (versions 98-2016). You shouldn't edit or save a new Microsoft Excel worksheet until the data is exported from Recovery Toolbox for Excel.